Antonio Tomaini - race engineer of Gilles Villeneuve at Scuderia Ferrari. He has fond memories of the Canadian legend. He has recently answered my questions. 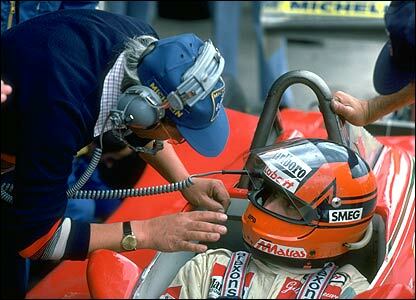 After Lauda left Ferrari Gilles came as a totale novice. What was your opinion on Gilles after your first meeting? It was Monday after USA Grand Prix in Watkins Glen in upstate of New York when Lauda called me to announce he was leaving Ferrari without any explanation, it his style, he just said that he wouldn't run the final two races of the 1977 season. He had already won the world title and he would race next season with the Brabham anyway. I was astonished, not for his giving up, since there were already rumors but for the way he did it. It was precisely a Lauda move. There were no shades for him: only black and white. A driving seat was quickly custom­ made for Gilles. He joined the mechanics to take part in the production. I was surprised how thin and small that boy was. He seemed almost inappropriate for the job. But it was not difficult to change my mind once I saw him in action: he drove like crazy! In 1977, Canada and Japan were catastrophes. How did this effect you? In Mosport after every outing he came back to the garage with something broken, such as a spoiler, a wing, smoking breaks, a smashed wheel. He always had the most relaxed expression on his face while he described what had occurred. He never tried to find an excuse or justification. To him it was a logical behaviour. Most of the mechanics were focused on fixing up his mistakes. During the next session he got stuck out on the track with a mechanical breakdown. He had a broken an axle shaft. 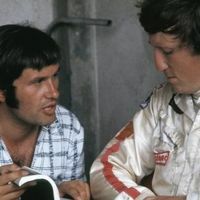 I felt better because the attention could be shifted to poor Reutemann who was a little forgotten to that point because of all the attention given to our new driver. During the race it didn't go better for Gilles, after few laps he had to stop because the axle shaft was again broken. A matter of an unlucky race? Perhaps. In Japan it was the same, but worse. Practice was quiet similar to Canada. But then the race! During an early lap Gilles had wheel-to-wheel contact with Ronnie Peterson's Tyrrell. Gilles Ferrari flew off the track and into a totaly restricted area where spectators, journalists and photographers where standing. It was a complete disaster: two dead and many seriously injured. Gilles came back to the pit box quite serene. It was like he had read the news in a newspaper. Once the race was over, I went where the accident had occurred: there were pieces of car everywhere! It was just a miracle that preserved Gilles from death. Actually he got miracles like this on several occasions, but not in Belgium. Zolder was where his career and life ended after a tragic flight quite similar to the one in Fuji. Imola 1982 - how do you recall it? 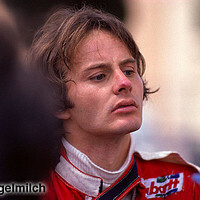 Well, I am sure that Gilles' drama reached a conclusion at the San Marino GP in Imola. This race was different from the others that year. Mostly because of political differences rather than sports ones. The teams which did show up and took part agreed to a particular behaviour during the first part of the race for the benefit of the fans. After a certain amount of laps, every team could use their own strategy. At Ferrari our two drivers were told not to overtake each other and to maintain their positions. We suggested this by a particular signal from the pit wall. Despite this agreement, Pironi was first to ignored them. After continuous overtakings the race ended with Gilles in back. 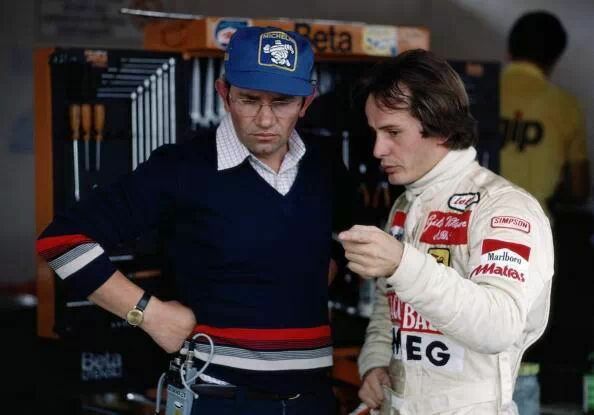 His reaction was reasonably furious, not for the race itself, but for his team mate's behaviour who not only ''stole'' his race, but he felt he cheated on their friendship which until that point Gilles was convinced was beyond question. Previously the two showed amicable behaviour. To confirm his idea of what friendship was, still in Imola, during qualifying, Gilles had showed us already by his actions, considering that usually drivers are very selfish particularly while they are fighting against their own teammate who is their worst opposition It was real proof. It was the first era of turbo engines when they were strong but weak. In Didier's car the engine was broken very soon. 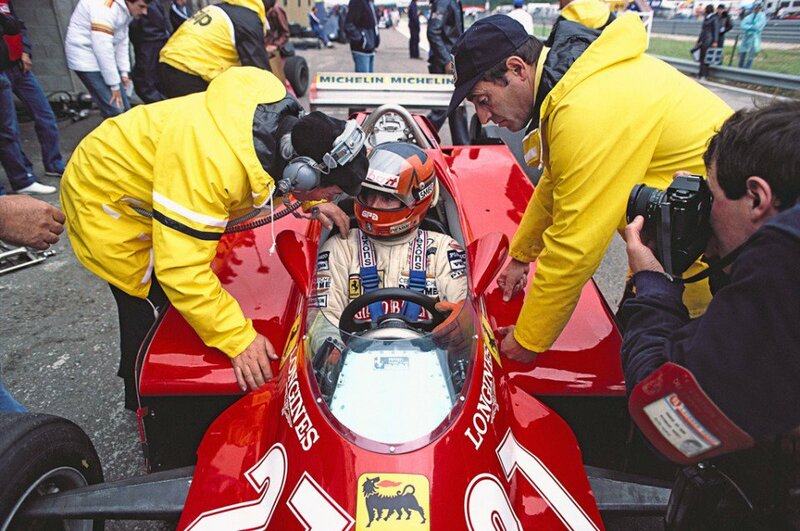 Gilles, in friendly and collegial way, let us give him the spare car which was supposed to be his. Pironi, after a few laps, had that one break down as well. In the meantime Gilles got his best time. He then came to help his teammate to qualify at least. He gave him his own car. We quickly made the necessary adjustments for Pironi and he shot out to get something in the remaining time of qualifying. So Pironi could manage to put the car beside Gilles on the second row. That was Villeneuve. He would do almost the impossible for a friend. This is how one can understand the reaction of Gilles after his team mate's eventual performance.